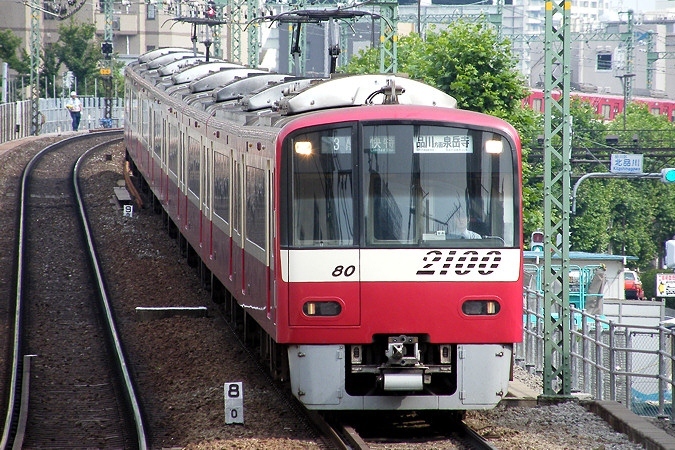 The Keikyu Main Line forms the backbone of the Keikyu Network and connects Sengakuji Station in Tokyo with Uraga Station in Yokosuka City. 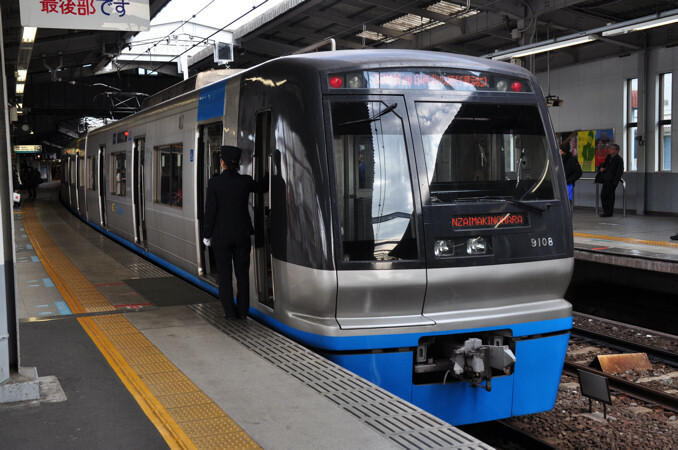 It is one of the major commuter lines for people heading into Tokyo from Kanagawa prefecture and is a major rival of JR and Tokyu Corporation. 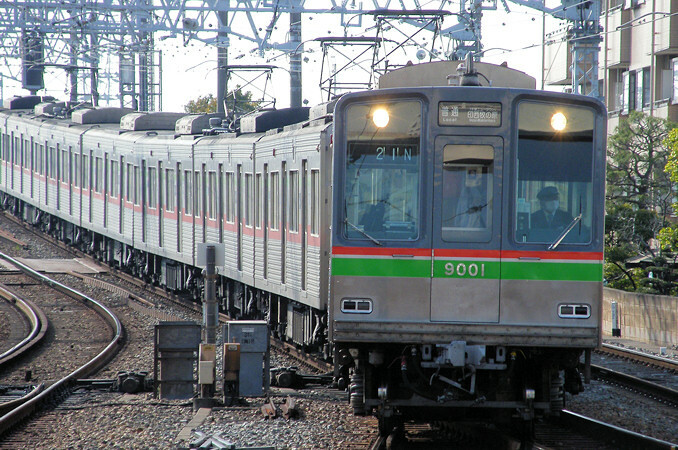 The first portion of the line was opened in 1901 and after many extensions, reached Uraga Station in 1930. Stations have been built and closed throughout the years, but it has kept the same general form since the 1930s. 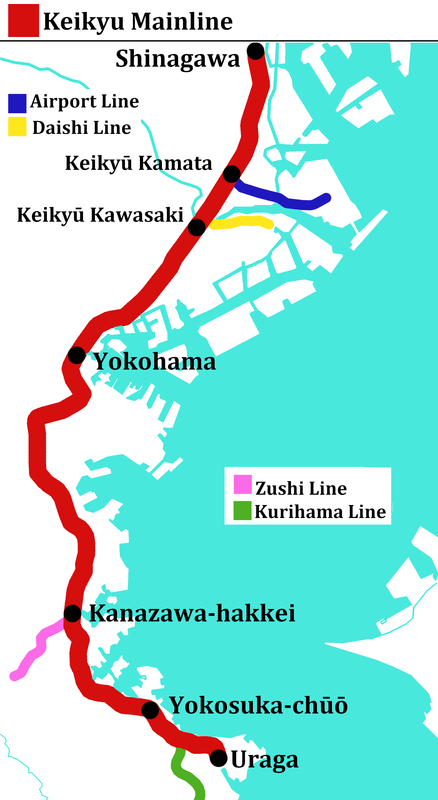 In 1968, the Keikyu Main Line was connected with the Toei Asakusa Line which continues on to the Keisei Oshiage Line. 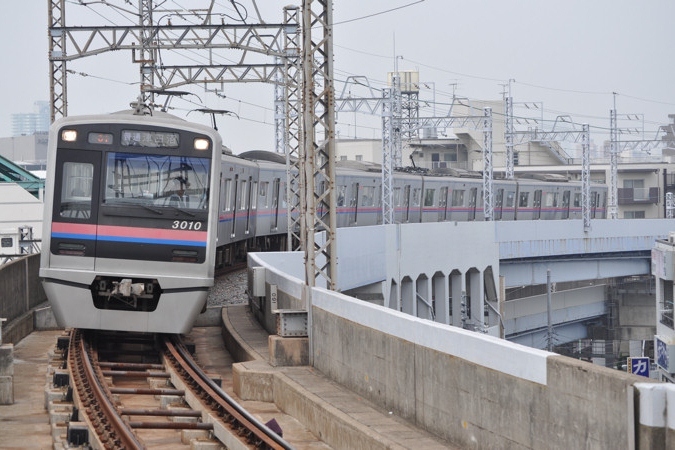 It currently serves as part of the Keikyu Airport Line and helps to connect Haneda with Tokyo and Kanagawa Prefecture. 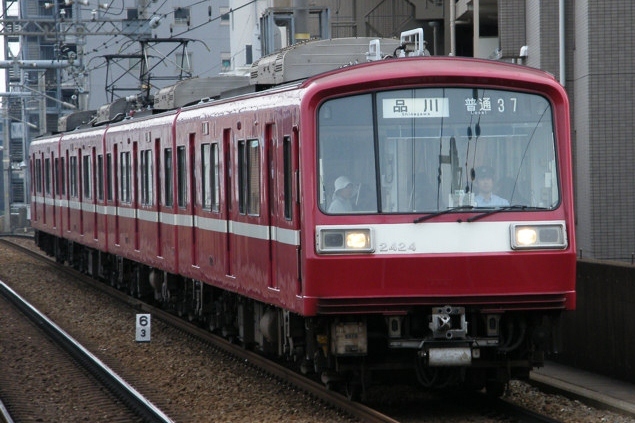 One feature that distinguishes the Keikyu Main Line from other private railways is the Kaitoku limited express trains. 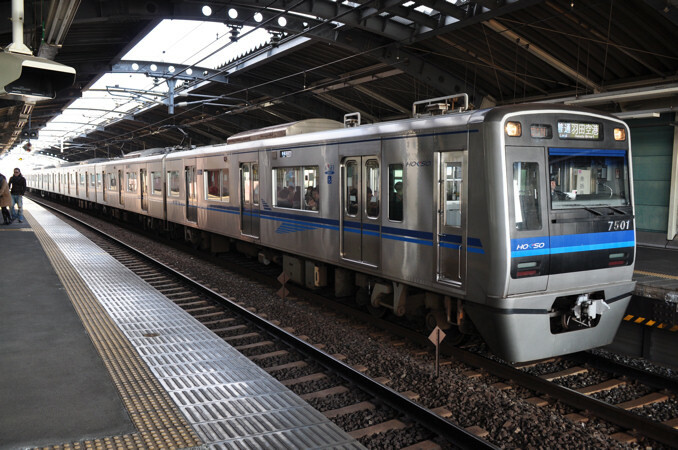 The Kaitoku names comes from Kaisoku (Rapid) and Tokkyu (Limited express).These trains use specially designed rolling stock that are equipped with crosswise seating like on the limited express trains used by JR and stop at far fewer stations than regular expresses. 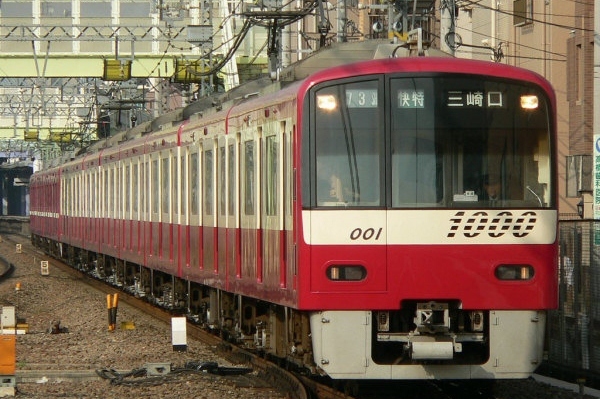 Keikyu does not officially distinguish the regular limited express trains from the Kaitoku limited express in English. 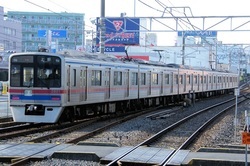 However, some stations use the term "Rapid Limited Express" or "Rapid Express" to distinguish the two. 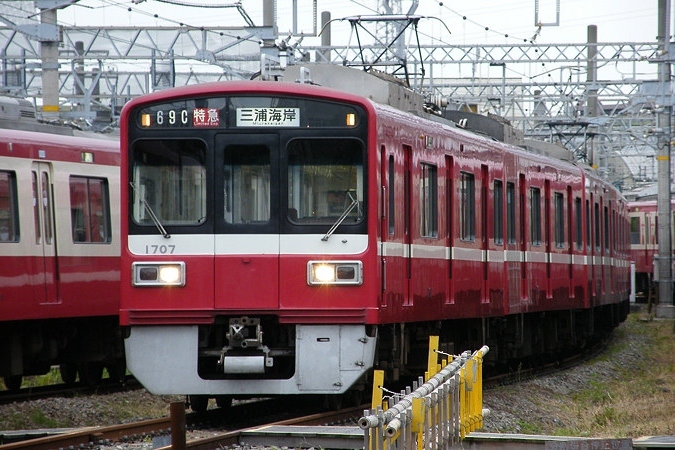 Uraga is the official last stop on the Keikyu Main Line but most Kaitoku limited express trains switch to the Kurihama Line at Horinouchi Station. 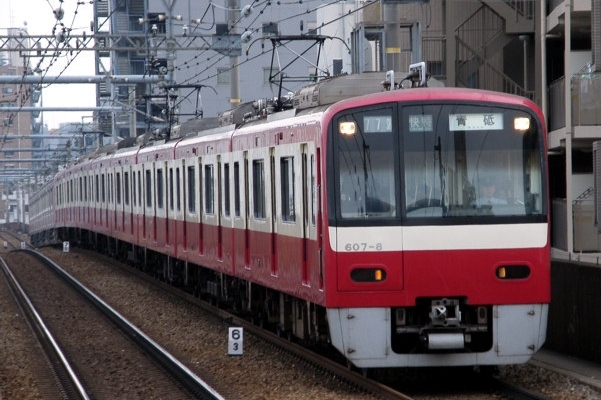 The Keikyu Main Line competes with the JR Tokaido Line and the Tokyu Toyoko Line for service from Tokyo to Yokohama. 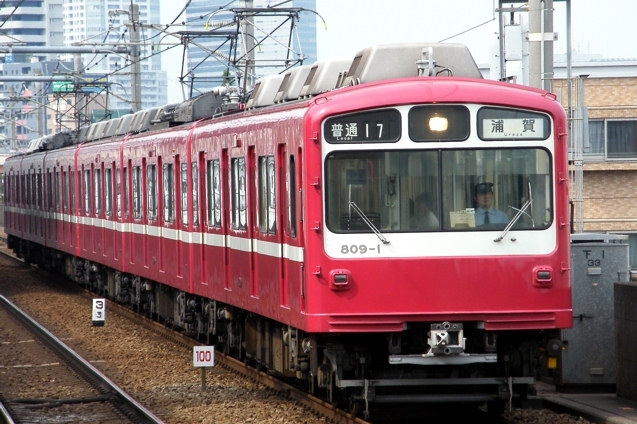 Among these three, Keikyu operates at the fastest speed of 120km/h between Shinagawa and Yokohama. 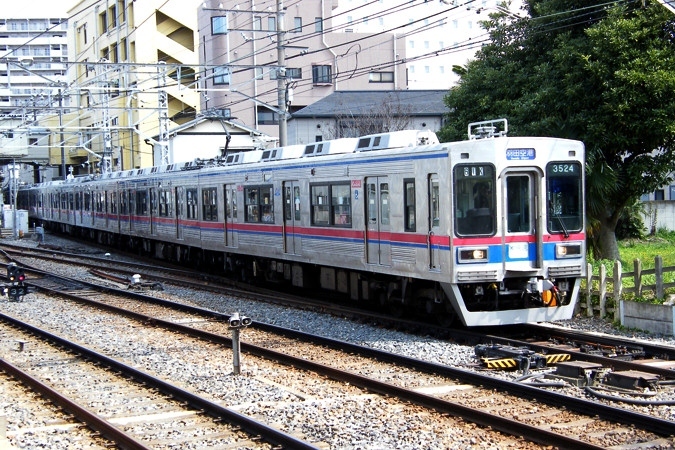 Shinagawa is not the first stop on the Main Line, but it is one of the most crowded stops. The station is built right next to JR Shinagawa station and connects with it from inside or outside the JR ticket gates. 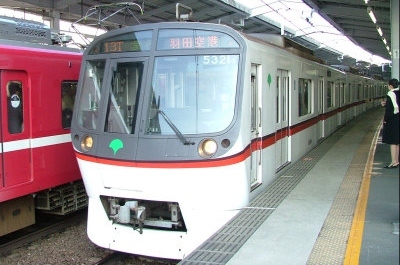 You can change to the JR Yamanote, Keihin-Tohoku, Tokaido and Yokosuka Lines at this station. The Tokaido Shinkansen also stops at Shinagawa Station. This is Keikyu's central station for the port city of Yokosuka and is the busiest station in the city. 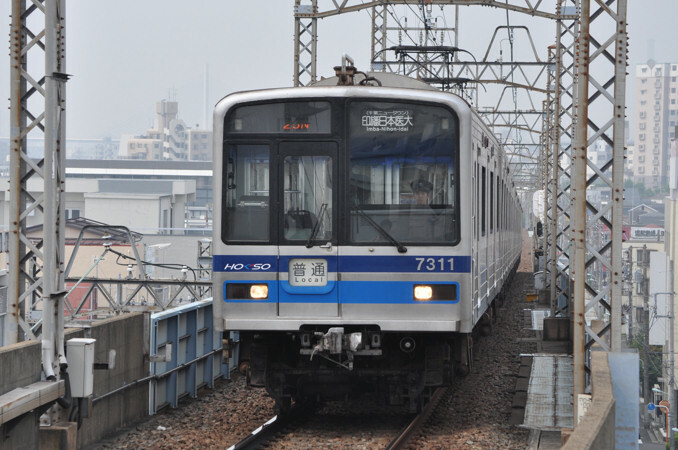 There are no connections with other train lines but it is much closer to the downtown of Yokosuka than JR Yokosuka Station. Hamburger shops and curry restaurants dot the shopping streets near the station and are a popular tourist destination. Note though that the JR Yokosuka station is around 1km away so changing trains may not be practical.